Cloud Storage is the new hot trend in the tech world and every tech company has taken it up to some extent. From Samsung storing contacts, messages and call logs in your Samsung Account to the crazily innovative smartphone company Nextbit Robin eliminating most of the storage on the smartphone, leaving the only option for storage being the cloud. The cloud is basically a computer owned by a service provider, also called a ‘hosting company’, which is constantly connected to high speed internet and stores a user’s personal data in a portion of storage allocated to that particular user. The storage disks that are used by the vendors to provide cloud storage can be spread over multiple physical locations. The storage space is bought or leased by organizations and individuals. A computer scientist, Joseph Carl Robnett Licklider, brought the innovation forward in the 1960’s when he was working on ARPANET. Many different companies later began the idea of providing cloud services, but the scale was pretty small. The real boom came in 2005-2006 when several services such as Dropbox, Smugmug, and Pinterest started to provide cloud storage services to individuals and businesses. Cloud services became very popular as they made digital storage an operating expense relatively cheaper than the capital one it was. They also ensured that the data was backed up if anything went wrong. However, with the rise of the popularity of Cloud storage services came security concerns. Indeed, companies did not want to handover private and confidential data if there was a risk that the safety of the data would be compromised. This led to the phenomenon that a lot of people in the world discuss today as Cloud Security. With more and more people utilizing the services of cloud storage, a rising concern among users is the safety and security of their private data. Service providers claim to provide fool-proof security for user data stored on the cloud. 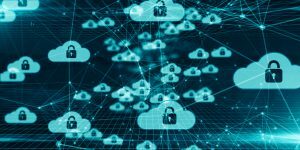 However, there are many critics of cloud storage who have demanded that cloud vendors provide an insight into the methods of security used, often accusing the vendors of not taking adequate measures for cloud security. Data on clouds may be susceptible to theft and misuse as hackers use a variety of methods to break into cloud accounts. They are even able to break into the cloud computer, compromising the security of all data in the cloud. In recent times, there have been a high number of reports of data breaches on cloud servers. This makes companies cautious when trusting cloud vendors with sensitive company data. It also makes it necessary for vendors to take a number of security measures to protect the data present on cloud servers. However, a study about cloud storage by IDG enterprises indicates that a lot of organizations have started to trust cloud vendors with their data. The study, however, also supports the fact that organizations have concerns about transparency with their service providers. The reason being is that, although vendors say that they have state of the art cyber security measures, they don’t reveal anything about those measures. The study also suggests that IT managers would be better able to trust vendors if the vendors are able to show that they are in full compliance with corporate requirements. The survey goes on to further emphasize the importance of cloud vendors being transparent about their security practices. It is seen that many enterprises support the idea of integrating security into the system development life cycle and that cloud security patches should be updated regularly. There can be multiple ways that vendors can gain the trust of organizations and show that cloud security is indeed a concern for them. Measures could range from conducting onsite audits to verifying the background information of the employees that they hire. However, demanding such a transparent system is pretty difficult for small and medium sized businesses, while it is easier for larger organizations to demand transparency from cloud storage vendors. Despite that, the study also claims that IT managers are not ready to fully accept cloud storage facilities until and unless vendors agree to meet the compliance requirements of the corporate world. The fact that there have been a high number of data breaches in recent times means that it is expected of IT managers to be cautious when trusting cloud vendors with sensitive company data. It is necessary for cloud vendors to increase the number of security measures they take to protect data on clouds.